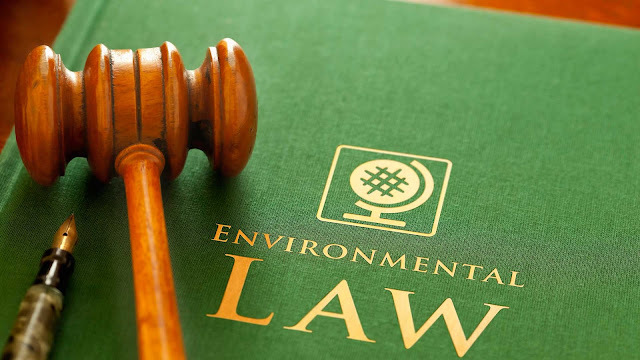 Environmental law is the broad area of law that deals with a wide range of issues related to environment including water, natural air, agriculture, species protection, hazardous waste, waste management and alternative energy resources etc. This field also looks at the regulations and usage of the natural resources. There are different laws across the world to regulate the things such as chemical discharges, noise levels and remediation. Issues like pollutants and their containment. Transport usage of fossil fuels also falls under the environmental law. Like most academic degrees, these courses also start with core programs and other opportunities to choose law topics as per your interests and particular career path you have chosen. Teaching is done through a combination of case studies, group discussions, seminars, lectures, presentations and debate sessions. 1. Institute of Environment Education and Research, Bharati Vidyapeeth University: This is one of the top environmental law institutes in India offering the best programs in environmental law field. The institute also has collaboration with some top universities that help the candidates to understand the concepts better. The institute offers amazing infrastructural facilities to the students and offers a great learning environment for their overall development. Apart from this, assignments and projects are also provided to the students to let them gain the real-world experiences. 2. Dr. Ram Manohar Lohia National Law University: This is one of the best law colleges across India offering post graduate diploma program in environmental law. Excellent infrastructural facilities are offered to the students that make learning easier for them. Placement opportunities offered are ultimate and students are also required to take part in internships to gain a knowledge and experience about the industry. 3. Banaras Hindu University: This is one among the best environmental law colleges in India that has a great placement record and best infrastructural facilities. The institute has the best faculties that are well-experienced and qualified in their fields that help the students to understand the concepts with real world experiences. 4. Hindayatullah National Law University: This is another best law college across India offering several environmental law courses at postgraduate, diploma and doctoral levels. The college has the best faculty and amazing learning opportunities are provided to the students. The institute offers the best environmental law course with wide industry experience and develops right knowledge and skills in the aspirants. 5. Tamilnadu Dr. Ambedkar Law University: The institute offers advanced degree program in Environmental Law to the students. Placement opportunities are also provided and students are provided with the best knowledge to understand the environment law and related terms.